"Above all, the study and practice of Gregorian chant is to be promoted, because, with its special characteristics, it is a basis of great importance for the development of sacred music." -Paragraph 52, Musicam Sacram, the Second Vatican Council’s Constitution on Music in the Sacred Liturgy. "Particular law remaining in force, the use of the Latin language is to be preserved in the Latin rites." -Paragraph 36, Sacrosanctum Concilium, the Second Vatican Council’s Constitution on the Sacred Liturgy. Gregorian Chant is the most well-known form of Catholic plainchant. Named for Pope St. Gregory the Great (c.540-604), this repertoire has been sung in monasteries, convents, cathedrals, and the most humble of local churches throughout the centuries. Gregorian chant conveys the sacred through its very sound, yet its lyrics also have preserved and fostered the Catholic Christian faith wherever its use prevails in liturgy and in life. 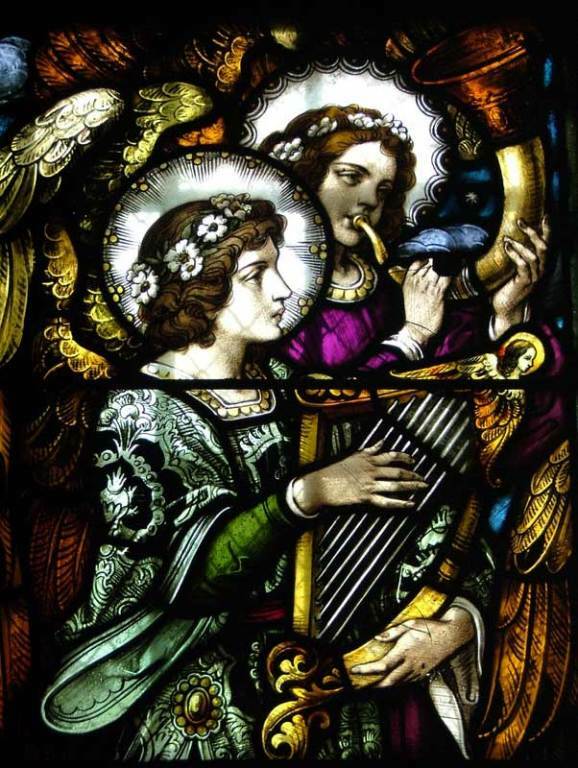 Vatican II declared: "The musical tradition of the universal Church is a treasure of inestimable value, greater even than that of any other art. The main reason for this pre-eminence is that, as sacred song united to the words, it forms a necessary or integral part of the solemn liturgy." (Constitution on the Sacred Liturgy, nº 112). In addition, "the Church acknowledges Gregorian chant as specially suited to the Roman liturgy; therefore, other things being equal, it should be given pride of place in liturgical services." (ibid, nº 116). And thus, to ensure "the preservation and careful fostering of this treasure of sacred music" (ibid, nº 114), the collection of Gregorian melodies for Mass was renovated by the Ordo Cantus Missæ of June 24, 1972, and made available for use by publication of the new, above mentioned, Graduale Romanum, (Solesmes, 1974), in order to promote "full, conscious and active participation of the faithful." (ibid, nº 14). It is important to "take steps so that the faithful may also be able to say or sing together in Latin those parts of the Ordinary of Mass which pertain to them." (ibid, nº 54). Translated from the official course syllabus of the Gregorian Institute of Paris. This presentation of the elements of Gregorian Chant according to the method of Solesmes is used in daily teaching at the Gregorian Institute of Paris, the official teaching center for Solesmes. As such, its order and emphasis stem from a long practical experience in the teaching of this method and represent a distribution of the material in an efficient and readily learnable manner. It cannot be urged too strongly that the early stages of study be taken without haste. The quality of first training never fails to leave its permanent traces on the mature musician. The Gregorian Missal is intended for the faithful who participate in Mass sung in Gregorian chant. It is useful both for choirs and for the people in general. The Gregorian Missal contains the Latin and English texts for the complete celebration of Mass, with masses for all Sundays and solemnities and for those feasts which take precedence over a Sunday. All chant melodies – both for the Ordinary of Mass and for the Propers – are presented in the traditional square Gregorian notation with the added rhythmical signs. Alongside the Latin prayers, in a second column, have been placed the corresponding texts of the official liturgical translation for English speaking countries. These were created for the needs of the vernacular liturgy and they are printed here in conformity with official directives, even though they do not always constitute a literal, word for word rendering of the Latin. The notated Gregorian chant pieces proper to each Mass, are generally followed by their translation, printed across the full width of the page. Its only function is to facilitate comprehension of the sung Latin text, and it is in no way intended for use in the Liturgy. 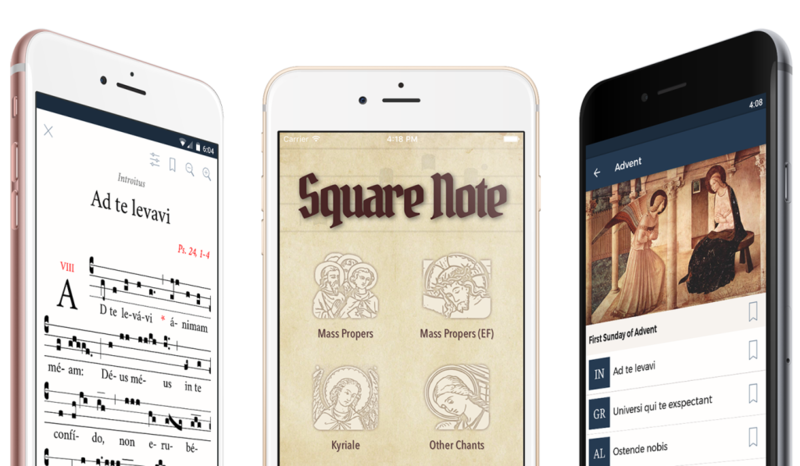 A mobile app for Gregorian Chant for the Mass. The aim of the Graduale project is to record all of the chants contained in the current Graduale Romanum / Graduale Triplex – see Gregoriana.sk for description. Chants are searchable by title on the Youtube channel. The Mass of the Angels, found in the Kyriale. This is the Mass setting used at Good Shepherd during Christmastide and Eastertide. The Kyriale is a collection of Gregorian chant settings for the Ordinary of the Mass. It contains eighteen Masses (each consisting of the Kyrie, Gloria – excluded from Masses intended for weekdays/ferias and Sundays in Advent and Lent –, Sanctus, and Agnus Dei), six Credos, and several ad libitum chants. This collection is included in liturgical books such as the Graduale Romanum and Liber Usualis, and it is also published as a separate book by the monks of Solesmes Abbey. In the Kyriale, the individual chants of the Ordinary are grouped into complete sets, whose title usually indicates the opening of the prosula formerly sung to each respective Kyrie melody. These masses are followed by individual items not grouped with the complete masses. The following list of Masses indicates the seasons or feasts for which each Mass is intended, listing first the Ordinary Form uses, followed by the Extraordinary Form. In practice, however, Mass settings may be used on days that fall outside the seasons or feasts listed below; additionally, chants may be extracted from multiple Mass settings for use during a given Mass. The Roman Gradual is an official liturgical book of the Roman Rite of the Roman Catholic Church containing chants, including the Gradual proper and many more, for use in Mass. The latest edition of 1974 takes account of the 1970 revision of the Roman Missal. In 1979, the Graduale Triplex: The Roman Gradual With the Addition of Neums from Ancient Manuscripts (ISBN 978-2852740440 in English (1985), ISBN 978-2-85274-094-5 in Latin) was published. It added reproductions of the neumes from ancient manuscripts placed above and below the later notation.